Ten patients at Penn Medicine have been cured of the Hepatitis C virus (HCV) following lifesaving kidney transplants from deceased donors who were infected with the disease. The findings point to new strategies for increasing the supply of organs for the nation's more than 97,000 patients who are awaiting kidney transplants - often for as many as five or more years. "We started this trial in the hopes that, if successful, we could open up an entirely new pool of donor organs, and effectively transplant hundreds, if not thousands, more patients who are awaiting a lifesaving organ," Goldberg said. "Historically, Hepatitis C-infected kidneys were often discarded, and were thought to be damaged or too 'high-risk.' Our pilot data demonstrate the ability to cure the contracted virus following transplantation in this patient population. If future studies are successful, this may be a viable option for patients who may otherwise never see a transplant." Goldberg, who co-led the study with Peter Reese, MD, MSCE, an assistant professor of Medicine and Epidemiology at Penn and chair of the Ethics Committee for the United Network of Organ Sharing (UNOS), approached and enrolled participants who relied on dialysis treatments to stand in for their damaged kidneys. Participants were between 40 and 65 years of age and had been waiting for a transplant for at least a year and a half. A three-step process of education and consent was used during pre-enrollment to ensure patients, and their loved ones were provided with a comprehensive understanding of the risks. Once enrolled, and as organs became available, the team performed HCV donor genotyping during the allocation process, selecting only kidneys that were considered "high quality." In the first phase of the study, to date, 10 patients have received transplants using the protocol. On average, patients received a transplant 58 days after enrolling in the trial—some in as quickly as 11 days, while others waited for over 100 days. At three days after surgery, patients were tested for HCV, and all 10 tested positive for the disease. Next, the participants were treated with the standard 12-week course of elbasvir/grazoprevir, commonly known as Zepatier, a recently-approved and highly effective oral medication prescribed to eradicate HCV. All 10 patients have been cured of their contracted HCV. 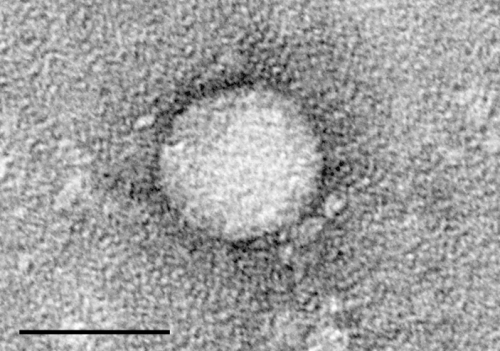 "For so long, HCV was a virus with a very negative stigma associated with it, especially among physicians. So it was interesting to see that patients were quick to jump at the chance to get this transplant, despite the possibility that they could get Hepatitis C permanently," Reese said. "Going into the study, we knew it was a possibility that some or all of the patients would contract HCV, and that they could have the disease for the rest of their lives if we were unsuccessful. But for these patients, getting off of dialysis and getting back to their normal lives was very much worth the risk." Following the early positive results, the research team was granted an extension of their study, which will allow them to transplant and treat an additional 10 patients—20 patients in total. The research team is designing a new clinical trial that will study this same approach in patients who are heart transplant recipients, and in the future they hope to examine the efficacy of this approach in liver and lung transplants. Researchers note there is a need for longer and larger trials to continue evaluating the effectiveness of HCV-positive to HCV-negative transplantation followed by antiviral therapy in a broader population.